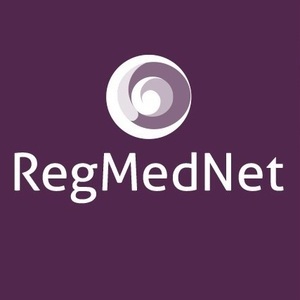 In this interview, RegMedNet speaks to Dr Nik Georgopoulos (University of Huddersfield, UK) about how transformative therapies can reduce the burden of chronic wounds to healthcare systems. Dr Nik Georgopoulos is Senior Lecturer, Department of Biological Sciences, at the University of Huddersfield (UK). One of his main areas of research focuses on the mechanisms of tissue regeneration and skin biology, specifically with regard to chemotherapy-induced alopecia and effective wound healing. The passion he has for skin biology is contagious, and RegMedNet was fortunate enough to discuss his current research projects and how transformative therapies can reduce the burden of chronic wounds to healthcare systems. What led to your current specialties in chemotherapy-induced alopecia and effective wound healing? A lot of our research focuses on understanding – at the cellular level – what mechanisms control how the cells grow and divide; how they specialize and differentiate into different tissues; and what controls life versus death decisions. By using cellular models we are able to understand how these decisions are made at the molecular level; we compare the diseased cells to normal cells. Some of the work we’ve done involves normal cells from the bladder – we’ve spent a lot of time trying to understand how these cells from the bladder do what they do, how they behave and also when things go wrong, what they change and what drives these processes. We have also focused a lot of our research on keratinocytes – cells of the skin. As a result, we were approached by different industrial partners to do some work with them. The chemotherapy-induced alopecia work relates to our collaboration with Paxman (Huddersfield, UK). The Paxman Scalp cooling device is based on the principle that cooling the scalp during chemotherapy can protect patients from losing their hair. While it has been well known for a number of years that cooling can help in this regard, Paxman needed more biological evidence to support the device, so this is where we stepped in. It’s been a fantastic journey because we’re given the scientific freedom to do all appropriate experiments needed to support it; we’ve published data on this and we’ve used cells of the skin and hair follicles, which are the ones targeted by cancer chemotherapy, and have been able to show that cooling can protect them from the toxicity that the chemotherapy drugs can induce. We’re also working with Avita Medical (Cambridge, UK) and have previously published on the molecular mechanisms that control cell growth and cell division, how these are affected under different circumstances and what mechanisms control tissue regeneration. This work has been very interesting because we’ve been able to research the biology behind Regenerative Epithelial Suspension (RES) and ReCell® technology to prove its efficacy. It’s great to be able to do work that’s important, but also of publication quality. How do you hope that this research – specifically in wound healing – might affect practice on the frontline of care? By supporting the way a device operates with biological evidence we are able to give more confidence to the clinicians who use it on its efficacy. The principle that has informed my whole scientific career has been, ‘if you want to improve something you have to understand how it works’. Taking cancer cells as an example, they’re already biologically a ‘mess’ so I want to get a normal cell and try to mimic the process of cancer to see how things change during cancer. In the same way with skin regeneration and the work we’re doing with Avita Medical, we have a device with clinical evidence that it can improve wound healing. The question is how it improves wound healing. Our research is ongoing, but by understanding what molecular mechanisms these devices engage, you can see whether they’re operating as effectively as they could be, and you can intervene by altering your methodology or by supplementing the technique with a pharmaceutical for example. What is the significance of lympho-epithelial interactions? Skin is a very interesting tissue because it has an amazing regenerative capacity, and understanding how it does this at the molecular level is key to creating novel therapeutic approaches. The skin has the ability – especially when wounded – to emit signals to the immune system to make sure it is there from the first few milliseconds that there is a break in its barrier. The immune cells themselves secrete specific proteins that can potentially recruit other immune cells to ensure the immune system is prepared for any signs of infection. These mediators secreted also enhance the process of wound healing; they’re preparing the rest of the tissue to repair and regain the barrier. Straight away they’re shaping up the process of repair and it’s fascinating how one signal can do multiple things. Tell us about the importance of stem cells in hair follicles. Hair follicles have been referred to as a regenerative machine – they are a little organ with incredible properties. They have a resident, adult stem cell population. Without elaborating too much, as our bodies evolve we have resident stem cell populations all around the body and hair follicles have a stem cell population that allows them to have fantastic regenerative properties. It is well known that during the wound healing process, if the skin has hair follicles, it heals more rapidly. And it is the incredible regenerative capacity of the hair follicle that is driving the wound healing. When you look at areas where there are a lot of hair follicles the wound healing response is supreme. What are the biggest outstanding challenges for developing novel or improved therapies for wound healing? The biggest challenge from a wound-type point of view is chronic wounds because this is the biggest burden to the NHS and other healthcare systems worldwide, and they are often very difficult to treat. One challenge in order to get things to work is better communication between clinicians and biologists. I’m in awe of my clinical colleagues; a lot of knowledge is based on experience, it is empirical, but it’s also very important to get the biology to feed into the clinic. Understanding the biology better and feeding into the clinic is fundamental – there is absolutely no doubt about it. Appropriate models for wound healing are also important. There are several but using the knowledge from these models and feeding that into the clinic is paramount. And we need to enhance new technologies in these processes to help. The Avita Medical technology feeds in to that, and there are other technologies that are showing a lot of promise, such as nanotechnologies and nanoparticle-based delivery. I think perhaps the biggest hurdle so far has been this lack of communication and feeding the biology to the clinic, but I think that’s happening now. Although it’s a challenge, it’s happening and I’m confident that there will be new developments because of this process of communication between the clinic and the basic science. You mentioned chronic wounds and the difficulty treating – what are the reasons behind this? We know some of the drivers behind chronic wounds, but it’s also important to know what the triggers are. Most patients with chronic wounds will often be immunocompromised, but it’s still not known what drives this – whether there are biofilms and a bacterial load driving this inflammation or because inflammation compromises the barrier and that encourages the bacteria to enter. It’s not clear and very much a chicken-and-egg situation. The triggers are not always well known and experimentally, it’s very difficult to make the correct assessments to understand these processes. We know that in some cases there is high bacterial load and a lot of metalloproteases are secreted that do not help the wound healing process. So we have to think about how to prevent this, perhaps by coming up with technology that could alleviate some of these constant drivers of inflammation and shift the balance towards wound healing. It’s very interesting to see that, for example, the Avita Medical technology shows promise in some of these chronic wounds and it’s exciting for us because we have a better understanding of how it works. By better understanding the technology, we can help improve that even further. What impact do you think transformative therapies, such as the Avita Medical technology, can have on the patient’s health, the healthcare system and the economy? From the patient’s perspective – especially with regard to chronic wounds - any type of improvement will be huge. As I’ve been more involved with Institute of Skin Integrity and Infection Prevention at the University of Huddersfield, and as we’ve been involved with more clinical projects, we find that any small improvement makes such a huge difference to the patient straight away. The Paxman work is fascinating because by improving these patients’ lives – by maintaining the hair – we know that it improves the immune system, and potentially improves the outcome of disease and their response to it. From a patient’s point of view, the fact that a wound simply looks better can have an impact, and from a practical point of view the patient can move more easily and get on with their daily life. One of the biggest burdens to the NHS is these chronic wounds and the care that is required; it’s not just the treatments required, but the staff time. The economic burden of chronic wounds is not in the range of millions, it’s in the range of billions. There is absolutely no doubt that the impact will be huge financially, but the impact on the patient is an important parameter to remember as well. What advances do you envisage with regard to wound care in the next 5-10 years? The potential technologies in development and their implementation could have a huge difference. Furthermore, important drivers will also be a better understanding of the biology, improving these medical devices and incorporating new technologies like nanotechnological approaches and more novel biomaterials, which are going to help the wound response. What are your personal scientific goals? The work that we do with Paxman and Avita Medical relates to one of our main lines of research, which is the mechanisms of tissue regeneration and our aim is to feed in the biology to help these devices further improve. I’m confident that the biology we’ve understood so far will further improve the Avita Medical technology. Regarding the Paxman cooling device, we now understand the biology that underlines how cooling protects the hair follicles from chemotherapy cytotoxicity and we’re in a position to be able to improve that device. I believe we’re in a unique position where we have done research that’s not only exciting for us, but will also have an impact on patient outcomes. The other line of our research focuses on understanding what controls life versus cell death decisions in cancer, and specifically how we can trigger cell death in tumor cells. That’s been 16 years of work and although it’s not in the public domain yet, we will very soon be in a position to use this information to be able to provide a novel and highly promising therapeutic strategy for cancer patients. The biological research is our key aim, but the therapeutic potential that our research can have on patient’s lives is an added reward. In the long term my goal is to be able to carry out the scientific research that will improve medical devices and therapies to treat disease – whether that is in wound care or cancer. Want to learn more? Read the report on the Skin Regeneration Symposium, or our interview on compassionate use of skin substitutes in acute burn patients with Dr James Holmes. This interview is supported by Avita Medical.